This day was held on Saturday 4th July in memory of Bernard Frewin who was a founding member of our society and who did so much to promote and protect wildlife in our local patch. 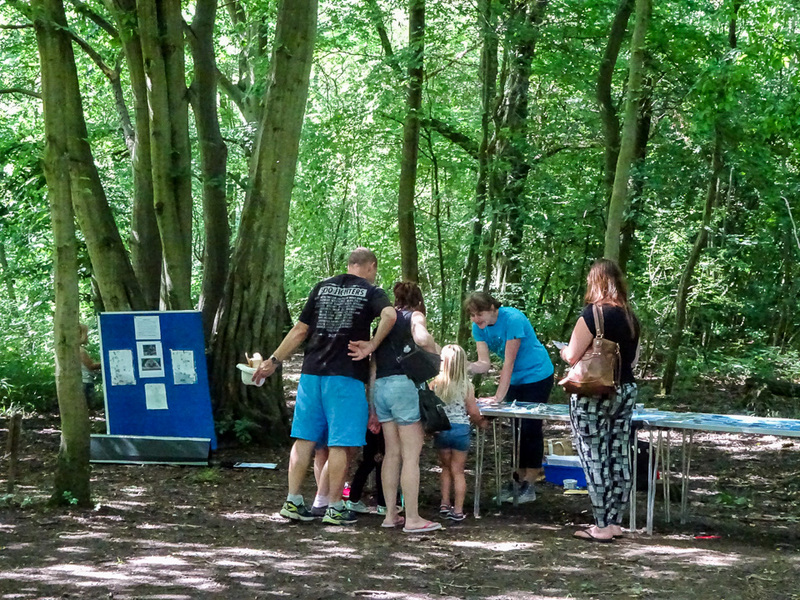 The day was held in conjunction with the Parks Trust and was a great success with many families with young children turning out to enjoy a day in the sun, spending their time wandering around the environs of the lovely new Education centre and the beautiful woodland. Displays including Owls (all rescued birds), reptiles, bats were located around the centre. 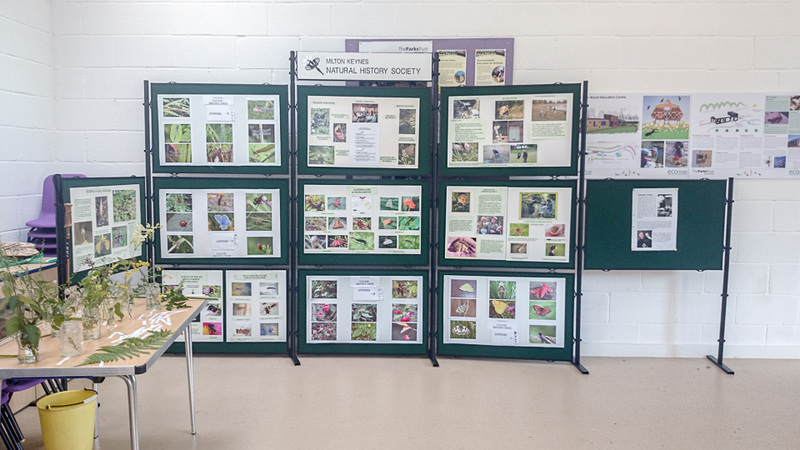 Inside the Centre the MKNHS display (beautifully maintained by Tony Wood) took pride of place alongside some lovely photos that Harry Appleyard had taken in the wood. Then in the wood itself there was a small trail consisting of a selection of locally caught moths by Gordon, a Nature Detectives Quiz put together by myself and Jo Handford, a wonderful little grass snake and information on local reptiles courtesy of Martin Kincaid and finally some local bird ringers who were delighted when they caught many more birds than they would normally expect at that time of the day. There were also wildlife walks led by our experts Roy, Harry and Alan Nelson. Eileen, Bernard Frewin’s wife came with her extended family and was delighted by the way the day had turned out and I am sure Bernard would have been thrilled to see so many people enjoying themselves. So thank you to all who took part and helped on the day and a particular thank you to The Parks Trust for hosting the event. It was a wonderful collaborative effort and one it would be good to repeat sometime. This entry was posted in News on 09/07/2015 by Julie Lane.